You are wondering if it is possible to find a place that offer heavy trucks leasing services? So, look no further, we have everything you need. If you need an extra truck to make a contract or your regular truck has broken down. We already have 6 rental service points under the Paclease banner in: Montreal, Sainte-Julie, Laval, Saint-Jacques-le-Mineur, Drummondville and finally Trois-Rivières, and we are constantly expanding to better serve our customers. Contact us for more details on all the possibilities and advantages available to you in short term truck leasing. 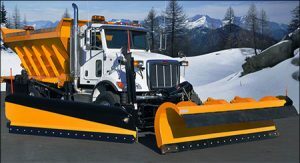 We are pioneers in the heavy trucks leasing industry for the construction, waste management, municipal needs, snow removal and alternative fuel truck markets, heavy goods transportation demanding special specifications and plates for higher mass groups. Do you want to benefit from the advantages of long-term leasing without having a maintenance contract? That is possible. You can lease a long-term truck at Excellence PacLease, built for you, with your specifications and colors. At the end of the term, it is possible to return the vehicle or have the option to purchase it. Do you want to lease a truck and have peace of mind? Long-term leasing with maintenance is the right solution. Let our experts manage preventative maintenance and repairs throughout the term of your lease. This will allow you to focus on the heart of your operations by letting the Peterbilt product specialists manage the health of your truck fleet for you. When signing the contract, decide on the various possible maintenance options for your vehicles, including tire maintenance, replacement vehicle service, delivery service, washes and more. Let us build the custom truck you need after a study of your operations by one of our specialists. In addition to being custom designed for you, this truck can proudly wear your colors and enhance your image. Do you want to give us some of the maintenance management of your fleet? Good idea! We have gained the experience of the major fleets of transport thanks to more than 250 vehicles rented in our park. All our employees have access to the best training and tools at the cutting edge of technology. We offer custom preventative maintenance programs designed to maximize performance and reduce road breakage and wait times. Be a step ahead of others. 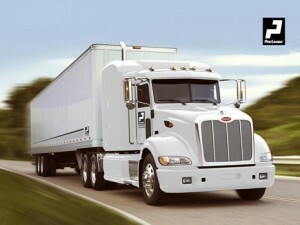 PacLease is one of the most recognized short and long-term truck leasing companies in North America. Its services are offered in more than 210 independent and corporate franchises spread across Canada, the United States and Mexico. Through its partnership with Paccar Inc., a world-renowned Fortune 500 truck manufacturer, PacLease offers Peterbilt products. These trucks, which stand out as much for their quality as for their reliability, have become, over the years, the first choice of many private transportation companies and carriers. PacLease understands the challenges that today’s fleet managers face: constant market pressure to reduce operating costs, customer demands, higher prices for new trucks, and more.